After a lot of changes occured, Rafaello Oliveira and Gleison Tibau are set to face each other in the UFC 130 preliminary lightweight card. Rafaello Oliveira will be Gleison Tibau’s new opponent, as he replaces the injured Bart Palaszewski in the coming UFC 130 preliminary lightweight bout. 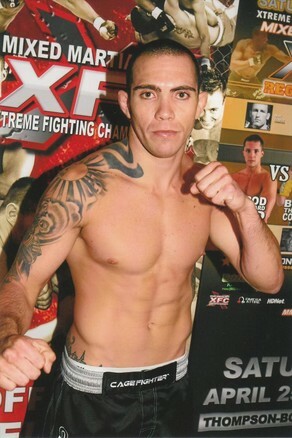 Rafaello Oliveira, aka “Tractor”, has won against Nik Lentz and John Gunderson via unanimous decision. But he officially resigned to the UFC after his tough loss against Andre Winner by a unanimous decision. Meanwhile, Gleison Tibau’s latest victory was against Kurt Pellegrino via a split decision at UFC 128, where he improve his 22-7 professional record by winning three consecutive fights. The UFC 130 lightweight preliminary card originally set Cody McKenzie and Bart Palaszewski, but the latter has to turn back to the fight due to injury. He was then replaced by Gleison Tibau, and Bart Palaszewski eventually goes does the same story which and was replaced by Rafaello Oliveira. The much awaited UFC 130 light heavyweight bout between Quinton “Rampage” Jackson and Matt Hamill will be telecast live on pay-per-view from the MGM Grand Garden Arena in Las Vegas on May 28. Spike TV will also air back-to-back fights at 8 p.m. ET.